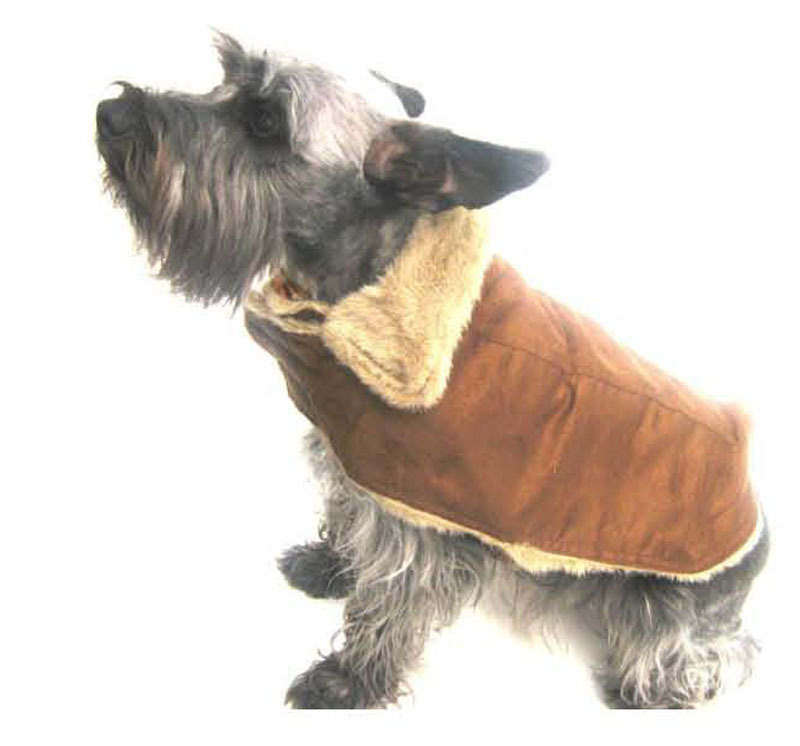 This doggy coat comes to us from Chez Charles Dogwear. It has faux-fur collar and lining. 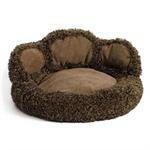 The outside is a tan suede polyester fabric.